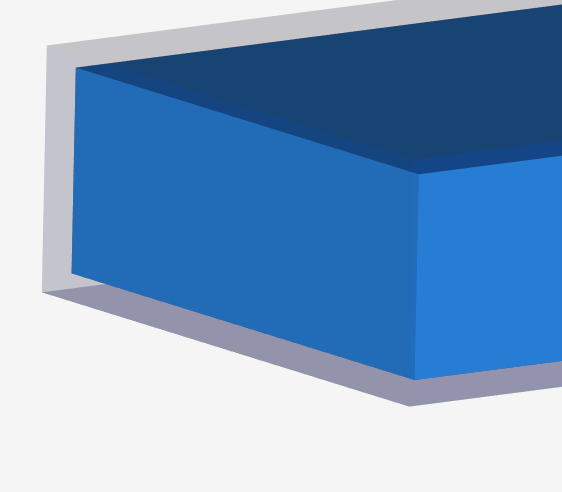 I saw a great post in the documents about the Fluid Volume Extraction method for creating an enclosure for CFD. Based on a post I read earlier today, using the enclosure method would allow me to keep my Topological Sets and Mesh Assignments when I regenerated the volume. For meshing, I always use the Parametric Mesher (snappyHexMesh) because I have a lot of control of the elements and sizes. When combining these two concepts (Fluid Volume Extraction and Parametric Mesher), I still have the same issue that I lose all Topological Sets and Mesh Assignments. Am I missing something or is this working as designed? Let me check that and get back to you asap Bryce! I did a bunch of playing with this today and I have figured out the issue. 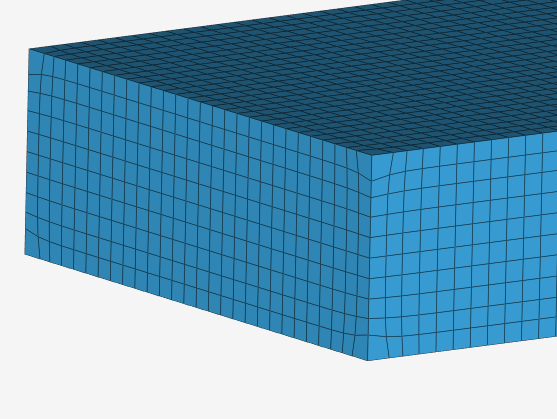 Parametric Meshing will work with Fluid Volume Extraction for external aerodynamics if you make your bounding box slightly larger than the domain. Doing this will allow you to maintain all of your topological and boundary condition assignments when you recalculate or change your mesh. Everything is working great in my test project but I have found one small downside; the outermost layer of cells on all sides of the enclosure are slightly warped due to the snapping process. I don’t think it is enough to mess with results as long as you are following good domain sizing suggestions (13L, 10W, 6H). Below is a picture of what I mean. In the end I think this is going to save me a bunch of time and will definitely help me with streamline the meshing and case setup process. Excellent deduction of the issue and solution for the problem!!! Is the difference in size exactly one Level 0 grid size (looks close)? If not it might be worth trying that. This investigation has been on my to-do list and I am more happy that you solved it right now! I’ll merge it with my quick and dirty one I have been using. Sorry, still lost, did I miss a hangout? How is one still open for me? I’m working on my SEO requirement right now. I had a little trouble finding a fun and engaging problem, but I’ve got it now. It’s going to turn into a whole series by the time I am done. My plan is to step through initial meshing and model setup, advanced model setup, and finally some design optimization. Should be pretty cool. Should have the first one done today or tomorrow though. Get that Power User button warmed up for me @jousefm. No not at all but we discussed it briefly in the PowerUser’s group - still in planning as you are in a flux as mentioned Once you seem to be ready we are good to go. Will also TeX this as a guide then!